Addressing older Americans’ current and future needs for shelter “must be a federal priority,” according to a brief issued by the Joint Center for Housing Studies of Harvard University. It’s also an opportunity for builders and developers that are eyeballing that vast segment. But serving the 50-plus demographic with affordable, accessible housing may prove difficult, as the data show that more active adults and seniors are increasingly living in remote areas across the country, with specific housing needs to address, such as accessibility, convenience, and safety. The Joint Center takes stock of where these populations are growing in number and how fast, complicating commonly held assumptions about where older folks live (Arizona, Florida), and how their locations inform their housing needs. Consider that between 2000 and 2016, the number of communities with more than half of residents aged 50 years or older more than tripled from 1,499 communities (2 percent) to 4,764 (7 percent), as nearly 58 million Baby Boomers aged into that category. Counter to widespread perceptions, the highest concentrations of these communities are found in low-density areas in California, Michigan, Oregon, Washington, Wisconsin, North Carolina, and Texas. And, they are increasingly located in lower-density areas inside and outside of major metropolitan areas, a statistic widely attributed to aging in place, as older homeowners are less likely to relocate as time passes. In fact, U.S. Census data indicates that the share of households living in their current residence for more than 20 years is highest for the oldest among us. Of those over 80 years old, more than two-thirds are staying, followed by those aged 65 to 79 (55 percent) and those 50 to 64 (36 percent). Meaning those people want housing where they are. The key concern is that lower-density areas are more difficult to serve with adequate housing options compared with areas that have greater density. And with that, growing populations that have increasing needs in such low-density areas put all-around pressure on communities to provide ample infrastructure and transit options. The mix of housing in these areas is generally limited to single-family homes. 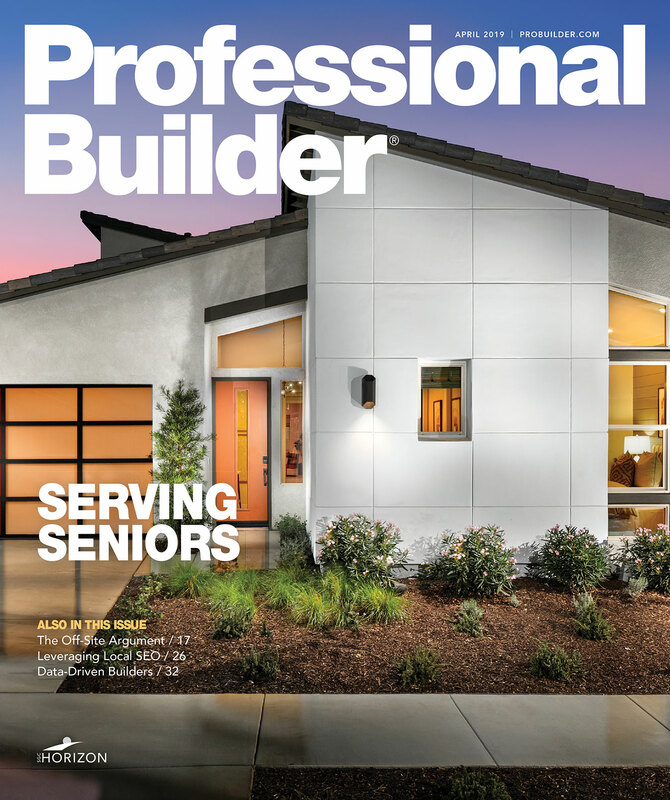 As the report concludes, the immediate and coming needs of senior households require that public and private organizations, along with individuals and families, have a responsibility to lead and support more “age-friendly” infrastructure, a concept builders looking to serve this population may do well to investigate.